Wheeler Construction Testimonials, Citrus County Home Builder Reviews - Wheeler Construction Inc. Thank you for being so helpful and patient throughout this past year with our home build. We appreciate all of your efforts. Thanks so much for all of your hard work on our house. We love it and everyone who comes into our home thinks it is a beautiful house. We are really enjoying our new home. Kiwanis Club of Inverness just recently completed construction of our new Youth Center in Inverness. We would like to acknowledge our general contractor, John Wheeler of Wheeler Construction, Inc. and his staff for spending countless hours advising, planning and donating to the construction of our Kiwanis Youth Center building. As Kiwanis of Inverness is dedicated to “Serving the Youth of Citrus County” Wheeler Construction Inc. helped us obtain the best value to get this building built to serve the youth of our county. A big “Shout Out” and “Thank You” to Wheeler Construction for a job well done. Thank you to each and every one of you at Wheeler Construction for making our dream home a reality. We have a unique country home that we are proud to share with family and friends. We spent many months meeting with other builders and touring model homes. Only at Wheeler Construction did we find a staff that truly listened to our dreams and unique requirements for a country home on our 20 acre farm. Four our dream home, we indeed wanted OUR home vision and not that of someone else. Your construction and design standards set the bar so very high that you really have no competition in Citrus County. Matt was inspired with his ability to take our layout sketch and turn it into a perfect home plan. We love our huge front porch for watching the farm! Our home is extremely energy efficient and designed to take great advantage of shade and breezes. Jenice was excellent at guiding us in all the details that make this our dream come true. She has a true talent for sensing the style that the customer is hoping to achieve. The construction of our home started on schedule and was completed earlier than promised. What a surprise to move in ahead of plan. We could not be happier with our new home! The dedicated craftsmen used by John Wheeler were excellent. Since we lived on the property during construction, we were uniquely able to view progress on a daily basis. This also allowed us to meet most of the sub-contractors who actually produced our home. No one was ever less than courteous and professional. We are especially thrilled with our custom master bath and our beautiful country kitchen. We depended greatly on Doug, our site manager, to guide us through each decision point. Knowing that Doug was watching every detailed step of the project allowed us to relax and enjoy the progress. As with any large project, there were some minor issues, but Doug was quick to resolve each one. The proof of his expertise is that the home was completed ahead of schedule and beyond our dream image. Wheeler Construction gets our highest recommendation to anyone looking to build a quality, energy efficient home with minimum headaches. 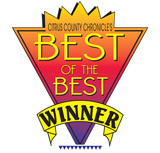 Their staff and subs are the BEST in Citrus County. We would like to thank you for the excellent job you and your company made of the construction of our house in Homosassa. We have found the work to be of a very high standard. Others recommended by you for pool construction and furnishings were also of the same high standard. Neighbors have also commented on the workmanlike approach taken including keeping the construction site organized and tidy, which was very important to us. We would like to thank Jenice, who was our contact throughout the process and kept us updated with progress photographs, which was a great comfort while we were far away in England. She was a great help when it came to the various decisions that needed to be taken. Jenice certainly smoothed the whole process. We would also like to thank Denise, Margie and the rest of the team at Wheeler Construction for their help and assistance which added to the pleasant experience. Rodney and I would like to express our sincere gratitude for the outstanding, professional job that you did in building our detached garage. Your work is top notch and was performed in a timely and efficient manner. More importantly perhaps, Rodney and I recognize that you offered assistance and guidance that was not called for in our contract. We will always be grateful for the advice and assistance rendered to help us “de-clutter” our back pasture. You are not only an excellent contractor but you are an excellent communicator which is a key ingredient to working through a project of this nature. I would also like to mention that it was a pleasure working with your assistant, Denise. She was very patient and helpful during the course of this project. I hope that we will have the opportunity to work with you again on a future project. And of course, you will be on the guest list for the first shindig centered on our beautiful new garage. We are very grateful for all you have done for us in the past year. All the calls, the special details, the personal attention meant a lot to us. The house is beautiful and the workmanship is superb! After seven years of moving into our house, calling the office for a service call, I knew it was way over the 1 year warranty for whatever goes wrong. So having said that, we are thankful for fixing the problem at no charge. We are so grateful. We extend our many thanks for the wonderful relationship you have extended to us in the building of our home. The entire experience from beginning to end was one of complete confidence in your expertise. You and the staff demonstrated a complete team effort with professionalism and high standards.